When thinking of Under Armour, it’s not just compression attire that comes to mind. Under Armour’s innovative team have been revolutionizing running shoes, and they don’t plan on stopping anytime soon. Two of their most popular running shoes, the Micro G® Mantis Running Shoes and the Micro G® Toxic Six Running Shoes, were first released after the beginning of the year, and they are continuing to make headway with their leap into the running world. Although Under Armour is no longer confined to their compression attire, they do use the knowledge they’ve gained in their roots. 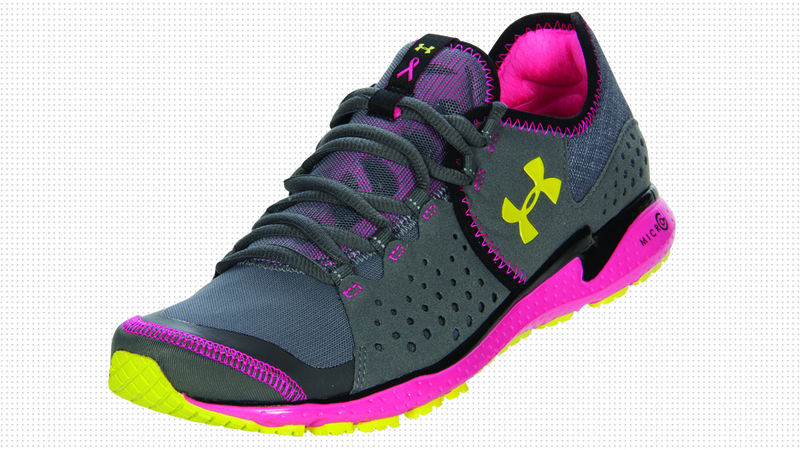 Under Armour used their understanding about how to keep the body comfortable and dry and applied that when designing the Micro G® Mantis and Micro G® Toxic Running Shoes. Take the HeatGear® technology, for example, Under Armour’s signature moisture wicking fabric. Kevin Plank, Under Armour’s CEO and one of the most sweaty football players who was out on the field at the University of Maryland, was sick of being weighed down by soaking wet cotton shirts, so he invented the perfect combination of materials and incorporated them onto skin-tight attire, which he found to be the best at transporting sweat away from skin. HeatGear® is incorporated into the Micro G® Mantis Running Shoes so they don’t become wet, sweaty and weighed down, just like Plank’s cotton shirts were. The Mantis also features a Micro G® midsole for a lightweight, shock-absorbent stride and a 4D Foam® sockliner, which forms to the exact shape of each foot for a super secure, comfortable fit. 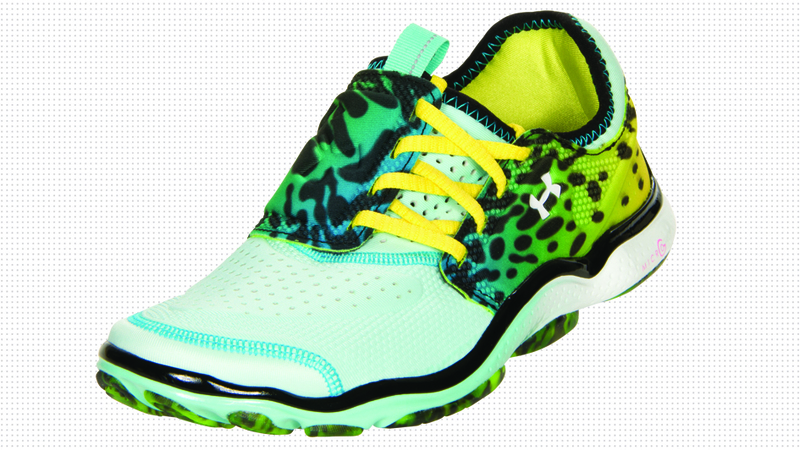 Also included in the Micro G® Mantis Running Shoes’ construction is a really cool two-piece upper which contributes to their flexibility and upper stability. It’s hard to believe that all this innovative technology could possibly be incorporated into their 7 ounces of construction. The Micro G® Toxic Six Running Shoes, like the Mantis, have the Micro G® midsole and 4D Foam® footbed, but instead of having HeatGear®, they have perfed heel and toe details for breathability. Another difference is the Toxic Six have MPZ® panels for solid fit, making the construction just a little different than the Mantis. Another difference you will find is that the Micro G® Toxic Six heel weighs only 5.5 ounces and their heel-to-toe drop is only 4mm, compared to the Mantis’s 9mm drop, so if you want something a little more lightweight that has a more natural, barefoot-feeling go with the Micro G® Toxic Six. But if it’s overall support through the gait that you’re looking for and want a pair of shoes that are also great for walking, go after the Micro G® Mantis. Check them both out at FinishLine.com.